The consequences and lessons of the economic crisis for jobs and living standards are the subject of the latest ‘Employment and Social Developments in Europe’ review, published by the Commission on 15 January. The European Community of Practice on Gender Mainstreaming (GenderCoP) has developed a tool to improve the quality and efficiency of Structural Funds processes at EU and Member State level by providing clear explanations of ESF requirements and examples of good practice on how to achieve gender equality in all cycles of the ESF. The final report assessing the effectiveness, efficiency and relevance of the ESF Learning Networks was published on 3 July. While improvements can be made, the Networks have proven to be valuable fora to exchange ideas, skills and innovative approaches, confirms the report. An expert evaluation of the achievements of the European Social Fund (ESF) over the period 2007-2012 has been published by the European Commission. Prepared by a network of experts drawn from all Member States, the report is a synthesis of the key findings contained in country reports reviewing national evaluations combined with information from ESF annual implementation reports. The European Commission has adopted the first of 28 "Partnership Agreements" that set down the strategies in EU member states and regions for European Structural and Investment Funds. Slowly but surely European citizens are becoming more familiar with the European Social Fund (ESF) and its work. 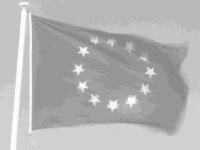 The 2013 Eurobarometer survey on the social climate in Europe confirms this growing awareness. When asked if they had heard of the ESF 44 % of the respondents replied yes, up from 33 % in 2006. One day after the adoption of the EU's Multiannual Financial Framework (MFF) for the years 2014 to 2020, the European Parliament has today adopted the Regulation on the European Social Fund as well as the Common Provision Regulation for all European Structural and Investment Funds. Today the European Parliament voted in favour of the EU's Multiannual Financial Framework (MFF) for the years 2014 to 2020. The consent of the EP clears the way for the final approval by the Council in the coming weeks. On 8 October, the European Commission, together with the OECD, published the results of a comprehensive survey on literacy, numeracy and technology-related skills in 17 EU Member States and other countries. In each country, the skill levels of 5000 people of working age (16-65 years) were assessed. The Commission adopted today the communication "Working together for Europe's young people – A call to action on youth unemployment". It stresses once more that among all efforts to get the economy growing again, combatting youth unemployment is a top priority. The Commission has proposed today that the agreement on an increased EU-share for investments in Greece, Cyprus and Portugal would be prolonged for another two years, and that Romania and Slovakia would be given more time to spend cohesion funds. The Commission has proposed rules to make the Youth Employment Initiative a reality. This new instrument with a budget of €6 billion for the period 2014-20 was proposed in February by the European Council. A recent report sets out the linkages between employment and Europe’s biodiversity objectives – and the new skills workers will need to help meet these.